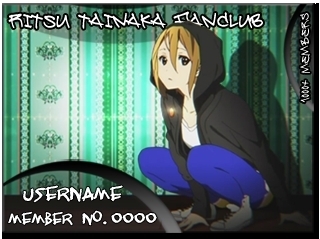 MyAnimeList Ritsu Tainaka FC Member Cards. . Wallpaper and background images in the Tainaka Ritsu club tagged: ritsu tainaka ritsu ricchan cards. Nice, can u pls tell me where did u get the picture only, cuz I have Yui's like this.